The vast majority of RAF bases across the UK were built either prior to or during the Second World War. Whilst many were closed after the end of the Cold War and as the British Military has been reduced in size, there are still dozens of ‘active’ bases. Given their age, it has been necessary to demolish and rebuild or refurbish buildings that are used for accommodation or office purposes. When either maintaining or carrying out works to any buildings constructed before, The Ministry of Defence, like all organisations, needs to comply with the The Control of Asbestos Regulations (CAR) 2012. This places a duty of care on those in control of maintenance activities of at risk buildings to conduct a suitable and sufficient assessment for asbestos containing materials (ACMs). Most commonly, this requires an asbestos survey by a competent organisation followed by the creation of an asbestos register, asbestos management plan and the undertaking of any actions e.g. removal by a licensed asbestos contractor. Like many older buildings in the UK, the use of asbestos was common practice on military sites. Eton Environmental Group has provided a range of asbestos management services to MOD buildings in recent years. This work has included management surveys, which are the standard asbestos survey required for the day-to-day maintenance of an occupied site, refurbishment surveys, which are required prior to any refurbishment works being carried out on a building and demolition surveys, which must be undertaken when a building, or part of it, is to be demolished. We have also carried out annual asbestos register re-inspections and air monitoring. 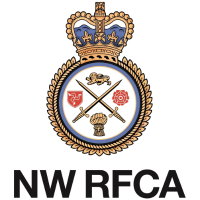 We were also appointed by The North West of England & Isle of Man Reserve Forces & Cadets Association (NWRFCA) to undertake asbestos management surveys and asbestos register re-inspections to hundreds of buildings operated by the Association in areas such as Liverpool, Chester, Cumbria and Manchester. This happened during 2016/17 and we will now be re-inspecting each building annually. “Eton Environmental Group came very highly recommended and we have been very pleased with their work. “Whether it’s one small cadet hut or a large army reserve centre, they have impressed us with their planned approach, attention to detail and efficiency.